Have some great RVing stories? Don't we all? Perhaps an amazing first-time experience? A road-trip disaster? A 'never-thought-that could-happen' story? Or just a great-to-be-alive sentiment? I'd love to hear it and so would my readers. Living the RV lifestyle is almost synonymous with "you won't believe it, but.... "
Unlike life in a stationary home, every day on the road is a different adventure. I hope you're finding some way to record yours. If not, here's the perfect venue with a built-in appreciateive audience. We'd love to hear about any unique experience you've had on your RV road trips. 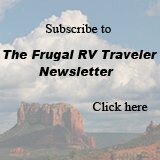 Have Some Great RVing Stories to Share? 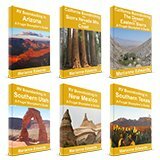 Do you have an RVing story about a unique experience that you think others could learn from? Please share it here! Just getting started - Rover is Ready are we?